Jenolan Caves: guides, guests and grottoes by John R. Dunkley. 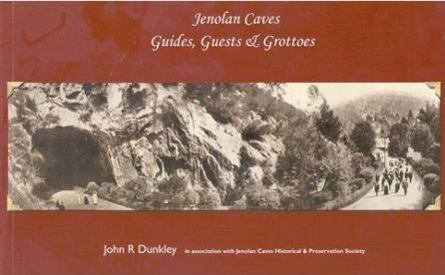 Jenolan Caves: guides, guests and grottoes by John R. Dunkley.This 73 page book was written in association with Jenolan Caves Historical and Preservation Society in 2007. Its fascinating content includes many historical photos and information about Jenolan Caves from its earliest days. Paperback, B5 landscape format, black & white photos.